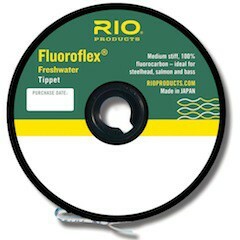 The Fluoroflex Freshwater Tippet is medium stiff, 100% fluorocarbon and is ideal for Steelhead, Salmon, Trout and Bass. 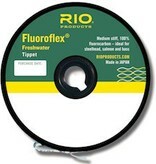 Clear in color, this freshwater tippet is nearly invisible to fish. The flex of the material is best for larger flies.